Cookies are personal. They’re sweet and festive, sure, but they’re also holiday traditions made concrete—family histories rendered with cups of sugar and sticks of butter. The just-released “Great Minnesota Cookie Book” is an overflowing platter of Minnesota cookie history. Within its covers are 77 finalist and champion recipes from the Star Tribune’s annual holiday cookie contest, covering the contest’s 2003‒2017 incarnations. The variation is immense—the book includes everything from cardamom crescents to red velvet whoopie pies to bacon cornmeal venetos to almond ricotta bars, all battle-tested and covered in that most significant of toppings: hard-won glory. 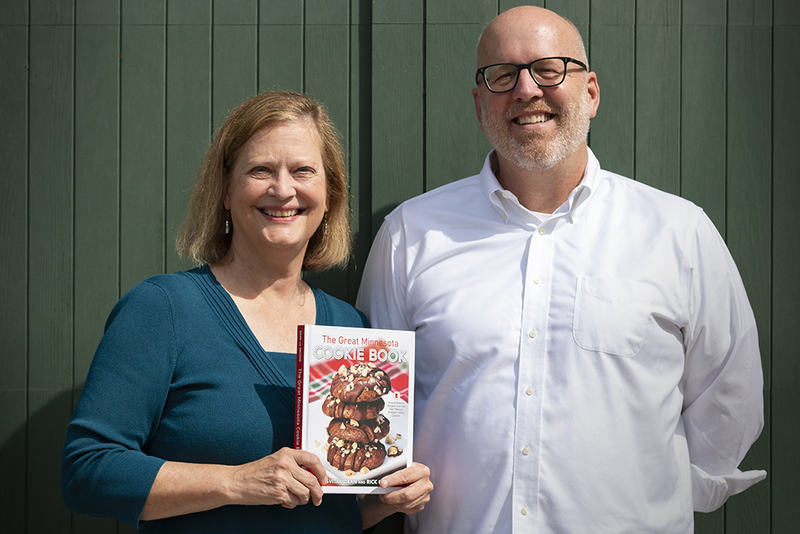 We talked to the book’s two-person creative team, Star Tribune food editor Lee Svitak Dean and food writer Rick Nelson, about power-baking hundreds of cookies at a go, holiday memories, and the eternal “cookies vs. bars” conflict. GROWLER: You talk about culling your hundreds of entries down to a first cut of 20 or 30 viable candidates. How do you bake and evaluate those potential contest winners? RICK NELSON: The first year we did it, we selected 20 recipes and I baked all of them and brought them into the office. LEE SVITAK DEAN: [laughing] Because it was his idea! NELSON: Baking 20 different kinds of cookies over a weekend—I really don’t recommend anyone do that on their own. I was determined to never do that again. We started enlisting people in the newsroom—‘Hey, do you want to bake for us? And if you help us bake, you can help us judge.’ We would send out these 20 or so recipes, or some years up to 30 because we had 30 people who were willing to bake. We would collect all these cookies in the conference room and go around one by one and talk about them. And let’s be honest, their input was welcome, but it was Lee and I making the decision. How do you tackle that first big recipe cull? It seems like dropping down from hundreds to dozens of recipes must be the toughest part. DEAN: There are certain things we both have anti views on: this one will never win because it’s using pudding mix, or cake mix! NELSON: Cold cereal, no. Pudding mix, no. Cake mix, no. DEAN: And no matter how many times we tell people we don’t need a sugar cookie, we don’t need a snickerdoodle, they still send them in! All those are discarded immediately. Then we sit down and start thinking: ‘What sounds appealing?’ We’ve done this enough that we can see—‘Oh, that’s an interesting combo here.’ What haven’t we had before? NELSON: Oh, citrus just sounds so good at the holidays, what are people doing with citrus? Or, ‘Oh, a cookie with almond butter, we’ve never done that before.’ It’s really interesting to watch and see how readers follow food trends. One year it’ll be coffee, or one year it’ll be 70% dark chocolate. DEAN: Brown butter, we had one year… Sometimes there’s thematic things you’ll see start to pop up. How has the contest changed over the years? DEAN: I think in the early years, winning the contest was more minor. It’s grown over the years. [Now,] there are people who spend all year developing multiple cookie recipes. People really tended to go into their grandmother’s recipe box, but more people are doing original stuff than there ever was. NELSON: I have to say I really loved it when people went into grandma’s archive, particularly the early years when we received most of our entries via mail. Tiny little spidery handwriting from some 92-year-old woman in northern Minnesota—I thought that was the dearest, sweetest, and most affectionate homage to how they loved to bake, sending it in to the newspaper. It always kind of choked me up, to be honest. This contest seems like it’s defined by the word “nice.” But has anything ever gotten your participants riled up? NELSON and DEAN, in unison: Bars. NELSON: We had a big discussion about that the first year that a bar cookie won. DEAN: Readers go nuts over that. Were there any other controversial winners? NELSON: This [Kit Kat Christmas Bars] is our only no-bake recipe. DEAN: There’s nothing in here that’s baked! This one—while it drew raves from readers and you could track with metrics as things are sent around—this went crazy wild. We also had people who were just extremely opposed to, a) it’s a bar, and b) it’s not baked! How can they do that! It was like we were breaking a law or something. They were very vocal. What’s your favorite thing about the contest? NELSON: It really is those stories. Cookies are such a universal subject—they cover all kinds of emotional needs. People have asked us over the years—‘You should do a contest in the summer! I don’t know—a potato salad contest!’ You know, that just doesn’t really resonate in the way that cookies resonate in people’s lives, I think? 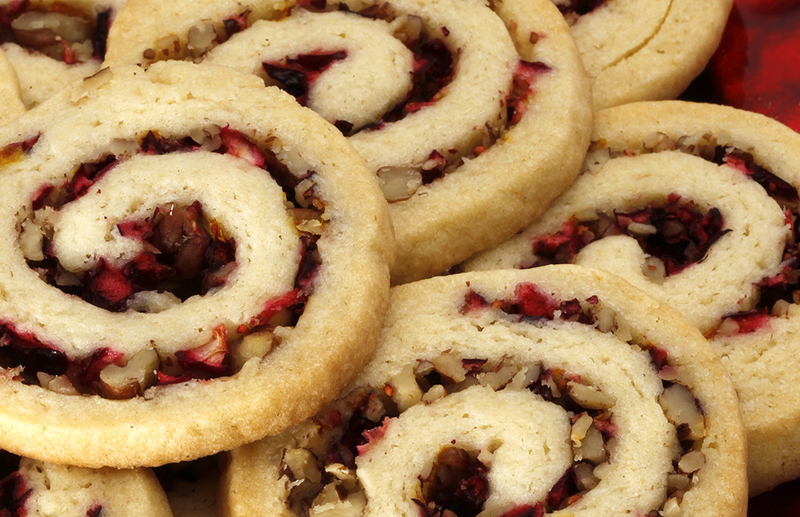 It’s like the ultimate party food, and we associate cookies with happiness. NELSON: They taste good, they’re portable, they look pretty, and everybody can make them. My husband, his father was a small-town doctor and his mother was a homemaker, and she baked hundreds of dozens of sugar cookies and on Saturday nights for the entire month of December, the family would gather and they’d decorate hundreds of dozens of cookies that they’d box and give to everybody in town. Those kinds of stories of people gathering around and making cookies—I think they’re so lovely. “The Great Minnesota Cookie Book” was published October 1, 2018, by the University of Minnesota Press.